Golf homes at the Haciendas in La QuintaThe combination of drastically reduced home prices in the US, a strong Canadian Dollar in relation to the US Dollar, and low interest rate financing options seems to have created the perfect storm. And this particular storm offers warm sunny days year-round here in the Palm Springs area. Dreams of sunny days by the pool or daily rounds of golf during the cold Canadian winters are not hard to imagine for most Canadians! 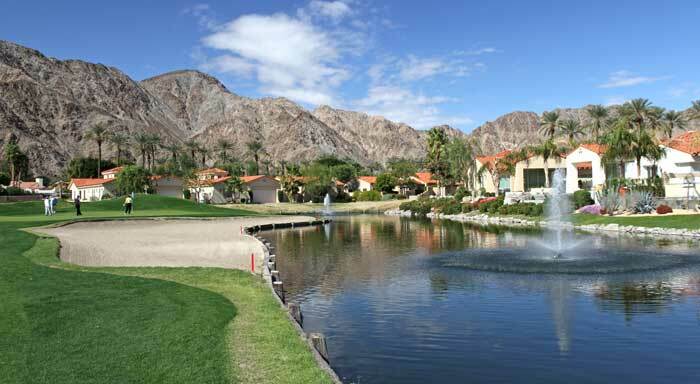 Buying a home in the Palm Springs area is a worthy goal for many Canadians. Here's a link to the full article "Canadian Buyer Information"